Home >> FGC News >> RIP Orochinagi? The website had about 8000 page views. The Facebook page actually counts how many people clicked, read, interacted and this totals to 130,000. Twitter has 1299 followers with 34,449 impressions in the last week (so 120k per month?). The website hosting service for ON will expire on the 19th May 2016. I can afford to pay for this. But when we have the social network accounts, what’s the point? So who needs this site? Even typing this out takes double the time of just bashing out a few lines on Facebook and then copying and pasting to twitter. There are the forums to consider, but people seem more worried about keeping souvenirs rather than actually using it. I’m not convinced it’s worth the time and effort to renew the site, when we could just use social media and let them take the ad revenue for using their resources. However, of course, I’m open to suggestion (and cash helps too). Other arguments include control over content and archives, but in fact the website already broke the limit for files and caused server slowdown, – you’ll find many images and posts from years ago have been deleted. This will have to continue to keep the site from being locked down! Tell me what you think via the poll! Is there something I forgot to consider? Leave a comment! And if you want us to just do it without thinking, here’s the donation button. 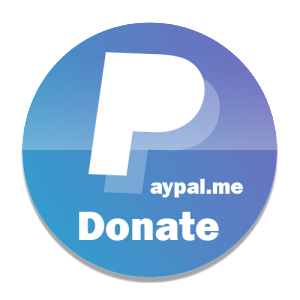 If we do not renew the site, all donations will be refunded. public html 4,1 gb, sql 765mb = 4,954.57 MB total disk space used.